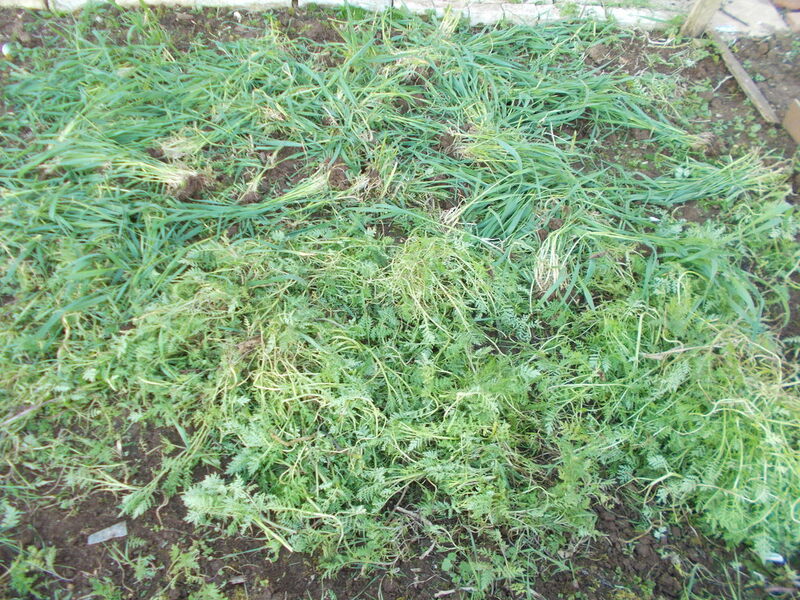 Green manure is grown to suppress weeds and enrich the soil. I've never used it before so it was a bit of an experiment. I covered other beds that were empty over winter with compost, leaf mould or manure. The rain and the worms break these down and work them naturally into the soil. 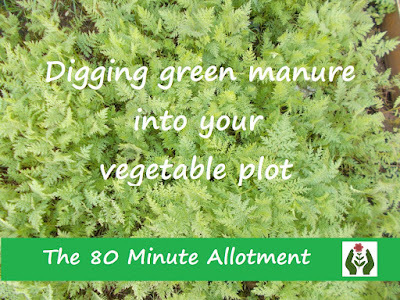 Green manure is an alternative way of improving the soil while there are no crops growing there. 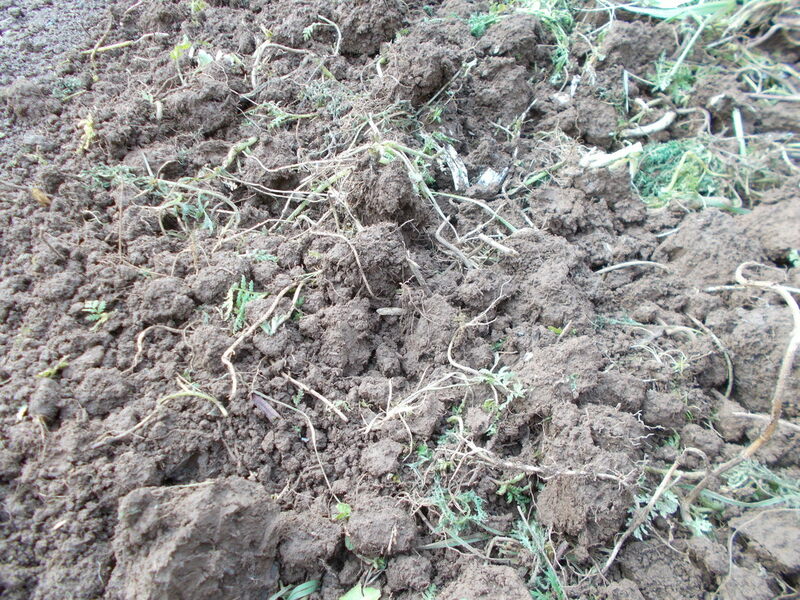 I sowed two types in autumn: phacelia and ryegrass. They germinated and grew, occupying the bed over winter. 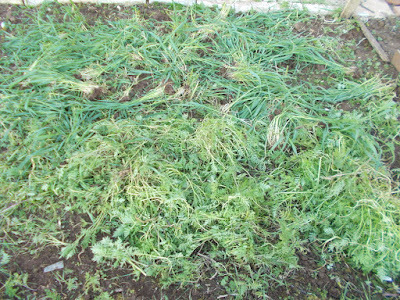 The plan was to keep the weeds down and then dig the green manure in before it sets seed. 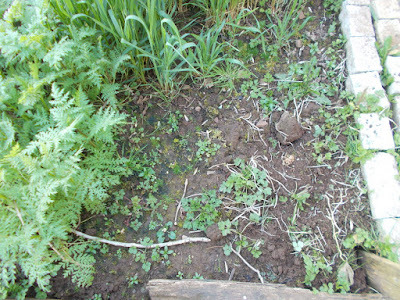 This corner was free of green manure - but full of weeds! Now covered by earth it should break down fairly quickly and add nutrients to the soil. When digging, it certainly felt to me like the earth was easier to work than usual for the time of year, suggesting that the network of roots grown by the green manure crops had helped improve the soil structure. 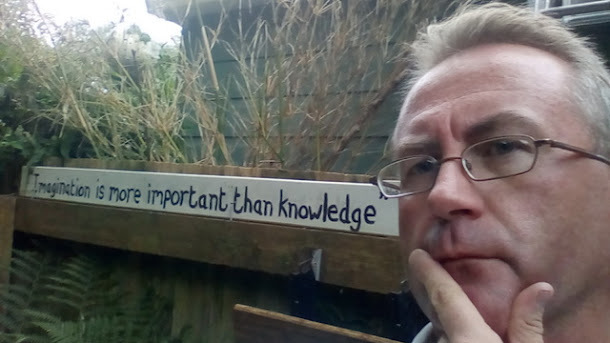 This could be by using some of the moisture from what is a very damp site in winter. Other plots on the site have been flooded during winter storms. My plot has escaped but the water table is always high and the soil boggy. It seemed less boggy than usual. 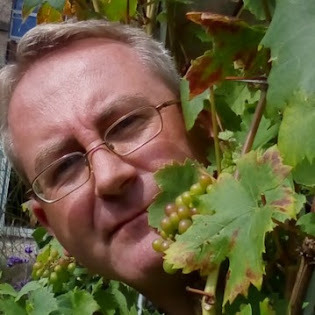 At the same time the surface moisture appears to have been retained under cover of the green foliage, making it soft and easy to dig without being heavy. 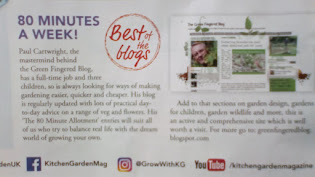 Which green manure was best? 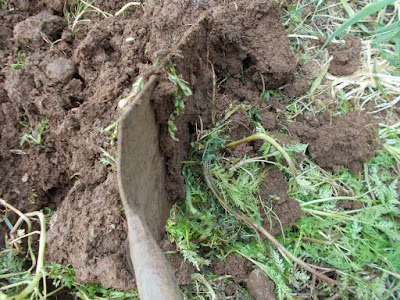 The phacelia was significantly softer, and therefore easier to cut down and dig in. 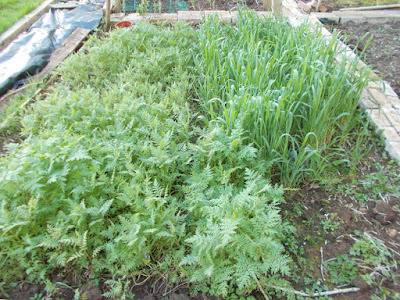 The ryegrass developed quite tough stalks which were more difficult, so I think I'll use the phacelia in future. 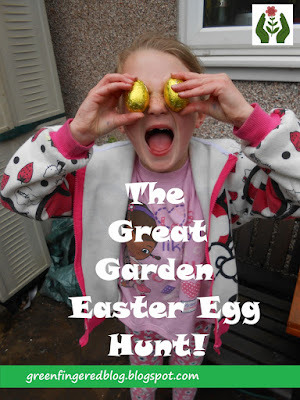 All of this is completely anecdotal but I will certainly be trying it again next year. Using green manure only cost a few pounds for two packets of seed, and cutting it down and digging it in was less work than carrying and spreading numerous bags or barrow loads of compost or manure, and has also reduced the amount of weeding I need to do. It will be later in the year before I can decide whether it helps my veggies grow better or not. My beans and peas will be growing in this bed, and I'll be planting out the first of them soon. 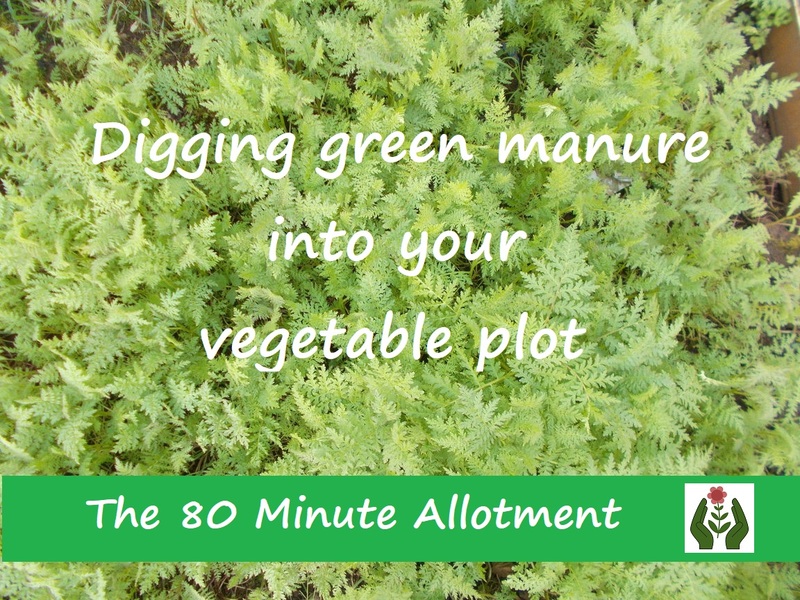 Make sure you come back to see how they do, and if you've used green manure yourself, please comment below to share your experience. Which ones did you use, and what difference did they make? Would you recommend it? I'd love to know what you all think.